When it comes to free motion quilting, there's a ton of variables to address before you get great results. Once you've mastered the basics of moving the quilt, hand speed, tension, and designs you might feel like you're good to go. That's when it can get a bit mysterious. You've been having great results and then something happens. Check the threading, change the needle, tweak the tension. Most of the time it will straighten out. But occasionally you will be beset with a perplexing intermittent problem. Perfect stitches for good long run followed by 6 or so tangled stitches and then everything is fine again. A tangled loop of top thread on the back of my quilt. Check all the typical variables but it keeps happening. It could be a burr in the needle plate that only hits threads when the quilt moves a certain direction. Maybe a stray thread in the thread path. Maybe the quilt is hanging up on something. Sometimes it's a run of bad thread. It can be very perplexing. For me, it can be a poorly wound bobbin. That's what I want to focus on in this post today. Sad to say, it is usually operator error when it comes to my bobbins. I get in a rush and don't pay attention. That's what happened to me recently. Now, I only have Janome bobbins here. That's not always the case with a lot of sewists. We get a lot of machines into the shop that are loaded with very much the wrong bobbin. That can cause a bunch of trouble that is easily fixed. Check your bobbins. The poorly wound bobbin above was the result of me being careless and leaving my machine cluttered with extra feet and needles in the path of the bobbin winding thread path. I love the storage on top of the machine, but I wasn't paying attention and the thread was rubbing on the top of a foot that was out of place. I stripped off that last bit of thread and started sewing. All was well for about 30 minutes, then I heard a little snick sound. I've talked before about learning the sounds your machine makes. Everything looked fine so I kept stitching and listening. Snick. Check the stitching. Fine on the top but there was a tiny nest of thread on the back. Did a little pulling and confirmed it was top thread. That tells me it was a bobbin area issue. Check the bobbin and found this knot in the middle of my bobbin with thread wrapped around it. I had my suspicions right away but did a strip search anyway. After pulling off several yards of thread, I realized that when I held the tail of the thread while the bobbin was winding, I held it too long and the thread doubled up on itself into this tangle. Then the rest of the bobbin thread covered it up. There's a new feature on some of the newer Janomes that completely eliminates this operator error. It's a plate that looks like a plastic saw blade that the bobbin sits on as it is wound. You set the bobbin in place, wrap the thread around the bobbin a few times and then tuck the thread between any of the plastic fingers/teeth of the the plate and it cuts off the excess thread and holds the end while the thread is wound. I don't have this lovely feature. My solution is just to be more mindful when I wind the bobbin! I ought to know it by now, but I forget from time to time in my hurry to wind the thing and get back to quilting. Any snags, knots, and other things that cause the bobbin to go bad, will cause you grief. In most cases, a poor bobbin will give you tension issues. In this case, the knot was keeping the thread from unwinding until it was tugged enough by the top thread, which would cause the top thread to get pulled too deep into the machine and make the hook grab it and make a nice nest. I'm not a bird, I want no nests on my quilts! So there's one of those things that can give you mystery issues when quilting. What's an issue you found that caused you such intermittent problems that you've figured out? Good info. 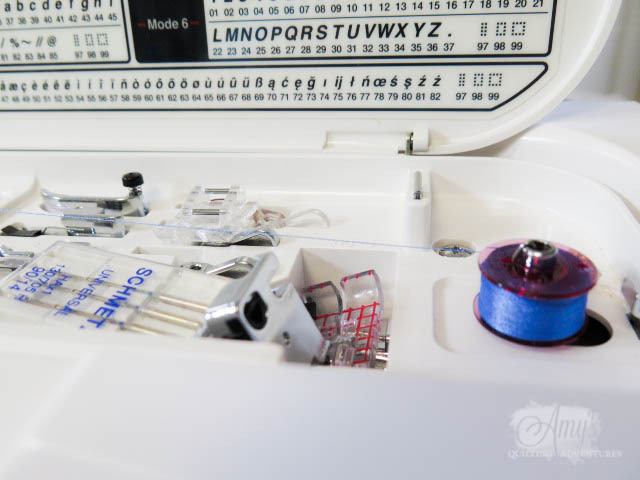 I have a Janome 6600 that I love. However, sometimes the bobbin thread gives me fits. The beginning of the bobbin thread comes loose and gets pulled up along with the regular bobbin thread when I am sewing(hope I am explaining this clearly). 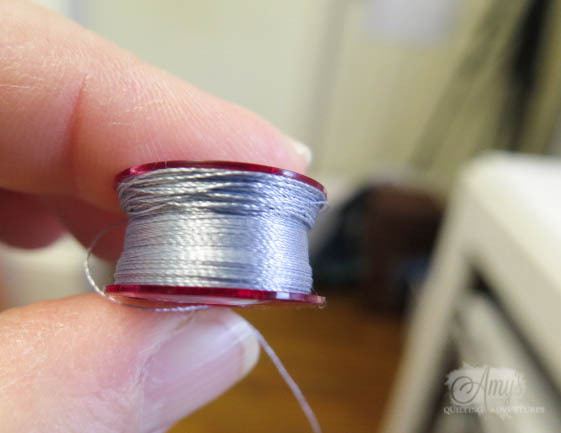 How much thread do you pull through the hole on top of the bobbin when you wind it and when do you let go of this piece during the winding process? Thanks for any suggestions you can provide. I don't have a Janome, but when I wind a bobbin, I stick the thread through the hole in the bobbin from the inside out. I hold this tail while the bobbin winds for a couple of seconds, stop the winding, snip the thread with curved snippers that can snip close to the bobbin, and then continue winding. I've not had an issue since learning to do this. right on! Exactly what I've been doing also. Sewandsow- I understand exactly your problem. I've had the same issue more often than I'd like to admit. I do pretty much like Quilter4Charity above and the others below, but sometimes I'm careless. 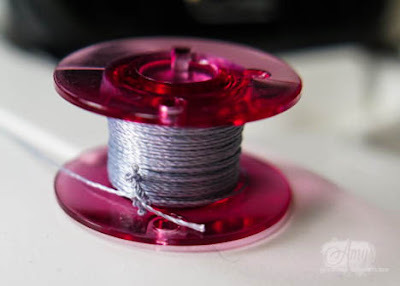 **starts to wind bobbin, checks email on phone** I hold the thread as it starts and usually use my finder to gently nudge the thread so it winds close to the hole in the bobbin first. What likely happened when I wound this bobbin was I held the thread tail too long, causing it to twist against itself and I must have given it enough slack to curl back through the hole before I cut the tail. Cutting that tail as close as possible after it's wound is a big help! Thanks so much for this info, Amy! I too have a Janome and have had your exact issue. I never figured out what the problem was on my own but I recognize myslf in your description! I did discover that on my 6600 you need to leave at least 1/2 to 1" of thread tail while the bobbin is winding. 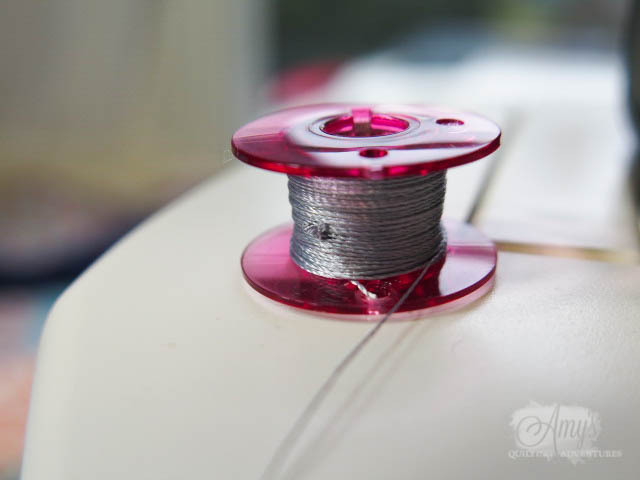 (You can let go of it after the bobbin has wound several times around to anchor the thread.) 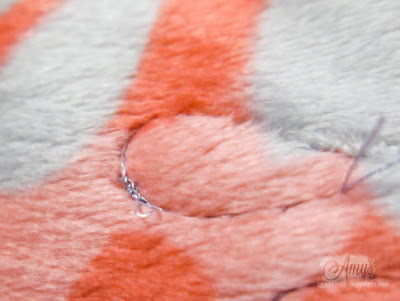 After it is wound completely then you need to cut that tail off to about 1/8" or the hook can get confused and try to pick it up instead of the ral bobbin thread. That ca cause problems with your stitching too! Hope that helps sewandsow above. I love your blog and read every post. Thanks! Yep, you read my mind! Thanks Gloria. Great post! So glad to have the elements of your mystery explained - it will help me when I troubleshoot my own problems. Exactly! It's good to know that there are occasional mystery issues and how to troubleshoot them.